What if Bella, Edward and the entire gang were hamsters. 1. Minimum of three chapters. 2. Maximum of 13 chapters. 3. Characters are limited to Edward, Bella, Rosalie, Emmett, Alice, Jasper, Carlisle, Esme, and Charlie. 4. Characters can have baby hamsters. 5. Maximum of 3,000 words per chapter. 6. Must be at least one set of siblings. 7. Must be at least one romantic couple. 8. Owner of hamster can be any body that you create or out of books or movie. 9. At some point in the story a hamster must be in a ball. 10. Must send me a message when you start story. 11. Story must be complete by the end of 2011. I would really like it if someone wrote a story that is more about the father/daughter relationship between renesmee and edward in breaking dawn or you can write the part when edward meets nessie in breaking dawn in edward's pov. 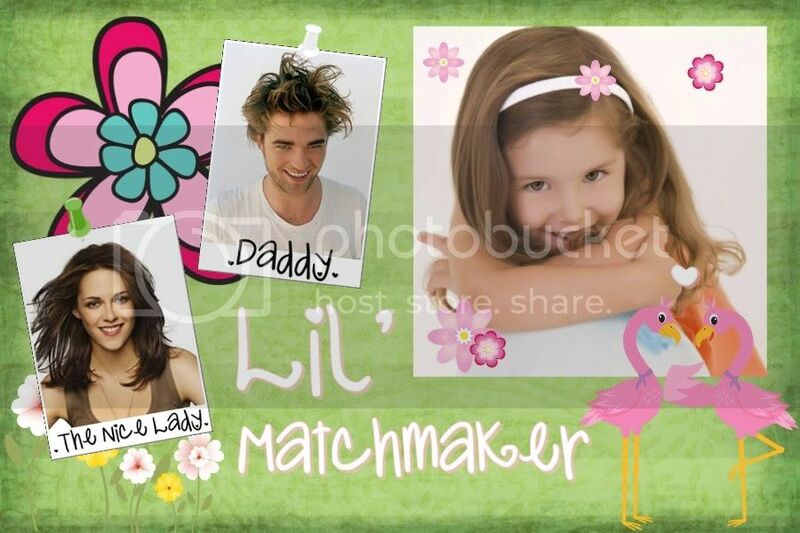 Nessie/Carlie Cullen is a ten-year-old who wants a new mommy for her charming but single daddy. One day she literally runs into the perfect, the nice lady and... The rest is up to you! - The girls name can be Nessie or Carlie; No other names! NOW START WRITING, HAVE FUN AND GOOD LUCK! Announcing the Long Distance Lovin’ Anonymous One-Shot Contest!! When love's long distance, sometimes you've gotta make do. So we want your best phone-sexin', skype-lovin', naughty-textin', IM-mmm-mmm-ing good times. The only requirement is your two long-distance lovers must do the deed via some mode of technology... no hands-on activity allowed, unless it's the do-it-yourself kind. Banners will be awarded for first, second, and third place, as well as two honorable mentions. Submissions will be accepted starting JUNE 1, 2010… so get to writing!